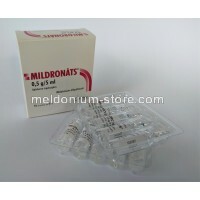 Meldonium in bodybuilding has been controversial till this day, because it is sold and approved only in parts of Europe and Russia but is used all over the world. Meldonium products in those parts of the world where it is sold has been around for decades and no bad effects have been observed. For how many stimulators which are popping out every day one can say that? Another controversy is that it is not approved by FDA ( US agency) but a lot of high ranking athletes have been caught using it in USA. Meldonium is used not only in professional sports but also by every day regular working person who just want to be able to perform better in and out of the gym. Since Meldonium can be beneficial in case of Olympic sports athletes then it is rational to assume that it would be beneficial to use in bodybuilding as well. Meldonium will not directly affect ones gains or strength or even give you a rush, this together with fact that Meldonium is associated with tennis, is why Meldonium in bodybuilding sometimes is overlooked. It is nothing like caffeine, taurine or sugar. People describe its effect as feeling more awake and focused. It directly effects how ones organism makes use of its oxygen therefore is beneficial in training process. It is reported that Meldonium allows athletes to recover faster by tennis players and bodybuilding professionals. Who would not like to recover faster? I certainly would, it would make my training routine more bearable, let me reach my goals faster and make the day afterwards more comfortable as well. All signs points toward that Meldonium in bodybuilding could actually be a good supplement and it has other beneficial effects as improving concentration thru day. 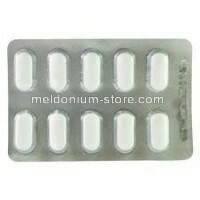 It is available in several forms , in capsules – 250mg ( nonprescription) and 500mg ( prescription) . Yes, I know it is weird, one could simply take 2 times the “over the counter” one and get the same dose, but this is how it is . In reality the prescription one is cheaper by cost per mg. , that’s it. Although Meldonium products are sold only in part of the Europe , it can be bought online and safely shipped to almost any location in the world. 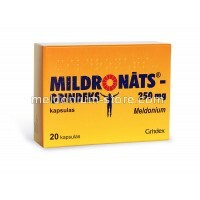 In the early days of Meldonium “ boom” right after Sharapova was caught using it, Meldonium was sold in Ebay in huge amounts by many vendors from Baltics and Russia but this ended when some journalist pointed out that Meldonium in some particular form is a prescription medicine thus banning all listings in any form from Ebay. Nowadays it is possible sometimes to buy Meldonium from Ebay but those listings are rare since they are being deleted by Ebay. But no worries, there are a lot of Vendors out there who are willing to sell Meldonium form their websites, even though it is medicine, I would say that it is quite safe to buy it from such vendors. 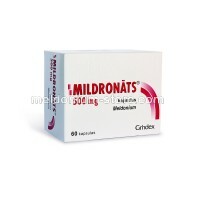 There are few pointers which will make buying Meldonium a bit easier for you: look for sellers who offer PayPal payments, this means that you will be protected from fraud and look for seller who is sending from Baltic states since this is the place of origin, Meldonium Mildronate is manufactured in EU, Latvia, Riga. The cost online could vary but overall it costs about 50 Euros + some additional fees ( handling, shipping).